Glaucoma, commonly referred to as the silent thief of sight, is one of the leading causes of preventable blindness worldwide, affecting over 3 million Americans and 70 million people across the globe, most of whom don’t even know they have it. Talk with one of our board-certified, fellowship-trained glaucoma specialists about the risk factors, the importance of early detection, and treatment options available before it’s too late. Glaucoma is a group of eye diseases that slowly develop over time, stealing your sight without warning. At first there are no symptoms, but as the disease progresses, your peripheral vision can begin to fail, followed by a decrease in straight-ahead sight until no vision remains at all. Visual field test – This test measures your peripheral vision. Tonometry – An instrument that measures the pressure inside the eye. Numbing drops are instilled in your eye for this test. Pachymetry – A numbing drop is instilled in your eye. We then use an ultrasonic wave instrument to measure the thickness of your cornea. Dilated eye exam – Drops are placed in your eyes to widen, or dilate, the pupils. We then use a special magnifying lens to examine your optic nerve and retina for signs of damage and other eye problems. Imaging – Photographs and computerized imaging of the optic nerves help detect damage from glaucoma. These tests are periodically repeated in patients with glaucoma to detect progression of the disease. In short, not necessarily. Increased fluid pressure in the eye means that you are at risk of developing glaucoma and should promptly see your eye care professional for a screening. If the optic nerve becomes damaged from this increased pressure, that’s when glaucoma is diagnosed. Anyone can develop glaucoma. 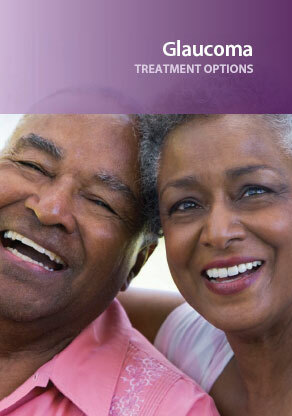 We encourage everyone to get screened once every two years, especially those at high-risk of developing glaucoma – African Americans and Hispanics over age 40, everyone over age 60, and those with a family history of glaucoma. If left untreated, glaucoma is a serious threat to cause partial or complete blindness. The most common early treatment for glaucoma includes eye drops or laser treatments that help to relieve eye pressure and prevent future vision loss. In more severe cases, glaucoma surgery may be necessary. Early detection and treatment, before any major vision loss, are key in controlling the effects of the disease. If you fall into one of the high-risk groups for the disease, be sure to have your eyes examined once every two years by your eye care professional. If you are already being treated for glaucoma, be sure to take your medicine as directed and schedule regular checkups with your doctor. Eye Consultants of Pennsylvania, PC, is the leading ophthalmology practice in the region. All of our doctors are Board Certified and our services span the full range of eye care. We have four convenient locations in Wyomissing, Pottsville, Pottstown and Blandon. Daytime and Evening hours are available. 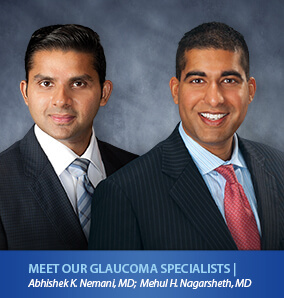 Our glaucoma doctors utilize the latest advancements in technology and treatment methods and enjoy an excellent reputation – one of high patient satisfaction and outstanding results. From the first moment a friendly staff member greets you until your treatment or surgery is performed in one of our state-of-the-art surgical suites, you’ll receive the compassionate care and personal attention that you deserve. Make your appointment to meet one of our glaucoma specialists and discover how we can make your world a brighter, clearer place.